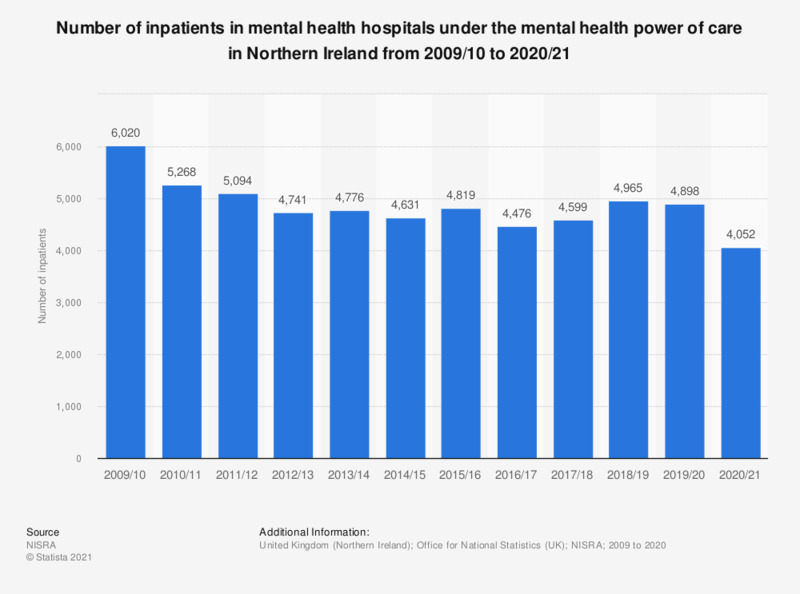 This statistic displays the number of inpatients in mental health hospitals in Northern Ireland from 2009 to 2018. The number of inpatients has decreased since 2009/10. In 2017/18 there were 4.6 thousand inpatients in mental health hospitals.